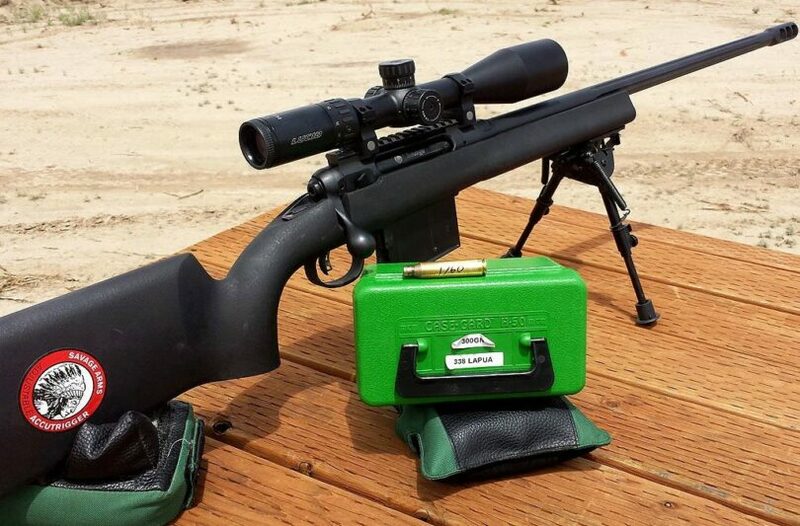 Your 30-06 needs a good scope in order to be reliable and consistent, right? It needs something that gets you just the right level of magnification and that will help you hit the target you’re aiming at every time. That’s what you got a gun for and it’s definitely what you got that scope for. But what if you’re not really sure what type of scope you need or what specific qualities you should be looking for? Well then, you’re in the right place. We actually already found the information you need in order to get the right scope and not pay a fortune for it either. We can help you with everything you need to know about that new scope and all the others that are available. Just take a look at some of these and you’ll see that there are plenty of options out there, and all you need to do is find the one that you like best. With so many different features out there you definitely don’t want to just jump into buying a scope without knowing all about them. Take a look at these features and see how they’re really going to help you accomplish a whole lot more each time you go out shooting and which ones are most important to you. You need to know what your scope is going to be able to see when you’re shooting. 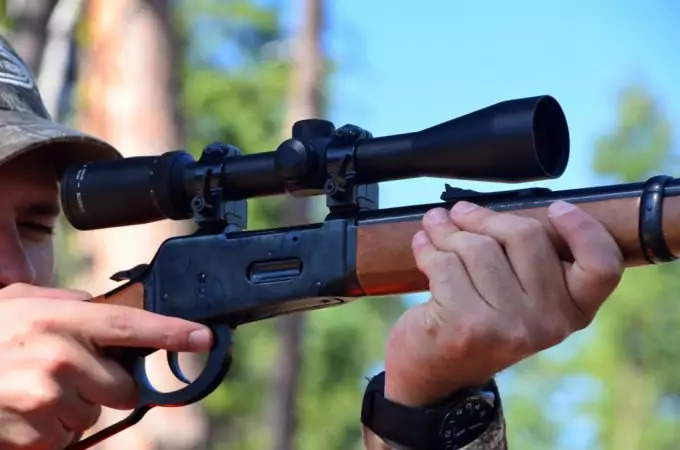 A scope that only has 2x zoom isn’t necessarily going to be that great for hunting since you have to get pretty close to the target, but something that has a super high zoom rate may be a little too bulky and slow for that hunting trip. Higher magnification gets you a clearer picture, but it takes longer and it requires a larger (and therefore heavier and more expensive) scope. On the other hand, smaller magnification won’t get you quite as good of a picture, but it’s going to be lighter and easier to carry. You want something that gets you around 5x-10x as this is generally a good balance between zoom and overall weight for the money. There are actually three different reticle options that you can choose from as well, so you can get just the right sightlines for your preference and shooting style. With a BDC reticle you’ll get the standard crosshairs in the center of the lens, but you’ll also get some drop lines. These hash marks along the lower crosshair will show you where you will hit given different distances from your target and different wind conditions for better accuracy. Mil dot reticles will show you marks on all four lines of the crosshairs so that you can see how to adjust based on different conditions or just based off needed adjustments without actually adjusting the scope itself. These are starting to be a little more popular, but not as popular as the traditional duplex. A duplex scope will simply show you the crosshairs in the way that you’ve probably come to expect from a scope. 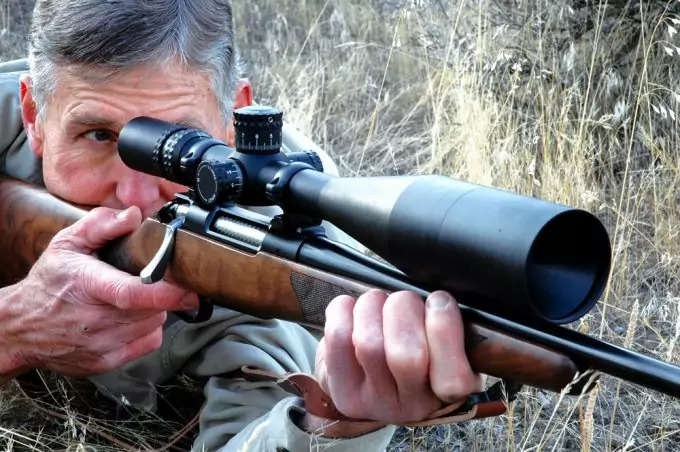 If you’ve never even looked in a scope yourself before this is probably what you think of when someone says ‘scope’ because it’s what most people see on TV or in movies. When you go out hunting you probably think about everything that you’re taking with you and just how much it really weighs. You don’t want to be carrying a whole lot of heavy equipment that’s going to weigh you down. That’s important with the scope that you take as well. It’s extremely important that you know the overall weight of your scope and that you understand how it’s going to impact you. If it’s heavy you’ll have to carry that weight while you walk and you’ll likely need to support it when you’re aiming the gun, which means you also need to carry some type of support or find a place to shoot from that offers natural support. Pay attention to how your gun works when it comes to mounting anything on it. While most guns are able to mount with Picatinny or Weaver rails not all are able to do so. You may find that your gun only accommodates one of these or doesn’t accommodate either one. 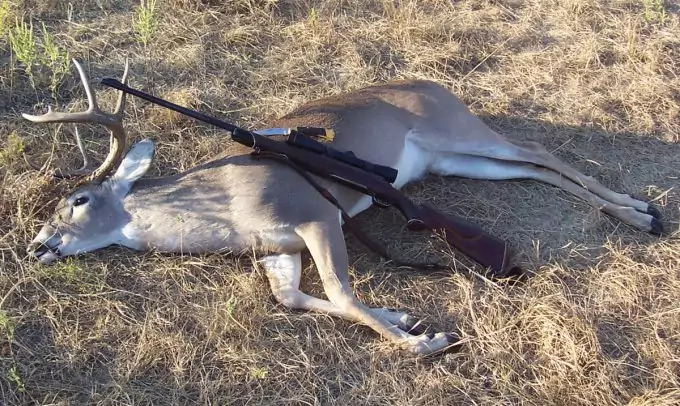 By knowing the mounting capability of your gun and the scope you choose you can spare yourself some of the heartache of finding the perfect scope only to learn after you buy it that it won’t work for the gun that you have. It can result in a whole lot more work on your part as well, since you could be looking for a good quality scope more than once. Your scope will use either MOA (Minutes of Angle) or MRAD (miradion) to accurately judge distances. You want something that has a moderate measurement ability as this is going to keep you more precise while you’re shooting, but you can also choose between these two methods however you like. With MOA you get measurements of 1” per 100 yards while MRAD is actually exactly the same as the distance that you are off. This can make it easier to adjust for when you’re looking at distances that aren’t exactly by 100 (100 yards, 200 yards, etc.). No matter what you’re thinking that you want for your new scope you’ll want to take a look at these options. You’ll find a whole lot of features that will help you get a great shot every time and you’ll have no problem choosing just which one is going to be the perfect match for your 30-06. 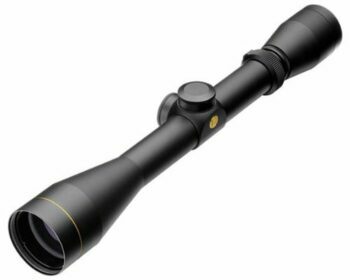 The Leupold VX-1 Riflescope is lightweight and comes with the standard Leupold lifetime guarantee. That means if you have any problems with it you’ll be able to get a full refund or a new scope, no matter when it happens. That’s because this scope is definitely built to last with high quality materials and a whole lot more. You get a lead free glass lens with multicoat 4 as well as simple to use dials that are finger adjustable so they’re easier to get just right. This helps with zeroing in as well as making any adjustments necessary. 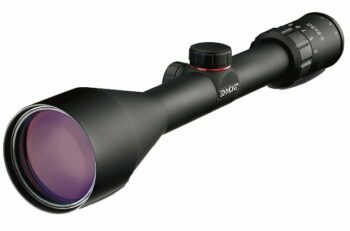 At a moderate price point this is a great scope and provides you with a waterproof, fogproof unit. Designed, assembled, and manufactured right in the United States, it’s designed to give you good quality, great groups and much more without having to worry about anything. It’s clear and focused as well as easy to install on your favorite gun. Related: These Leupold Rifleman Rings are detachable but also ideal for this scope and your rifle. They are machined from aircraft grade aluminum and offer plenty of strength at a low price so you can keep your scope stable no matter what. 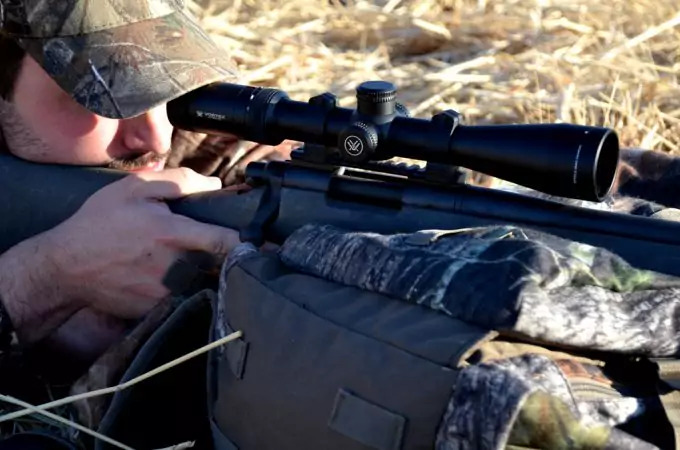 The Bushnell Trophy XLT Riflescope is completely waterproof, fogproof and shockproof, meaning it won’t be damaged pretty much no matter what happens around it, including a fall or even rain. It’s also going to give you just the right quality and clarity that you’re expecting every single time you use it. Included in the package are flip open scope covers that make it super easy to aim and shoot and then protect the lenses when you’re walking or traveling. The fast focus eyepiece makes it super easy to get lined up with whatever you’re aiming at and the 3x-9x magnification means that you’re going to see everything, no matter the distance. 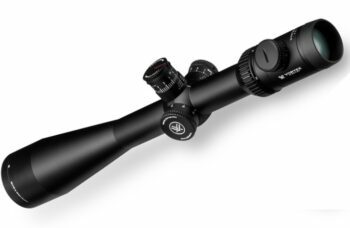 Complete with a limited lifetime warranty, this scope is low in price and offers 91% light transmission so you can easily see anything along with a ¼ inches MOA that allows you to make adjustments quickly and accurately. Related: The Accushot UTG High Profile Rings are designed to keep your scope attached firmly and right where you want it. They’re inexpensive and easy to install with either Picatinny or Weaver rails so you’ll be able to put them with anything you want. 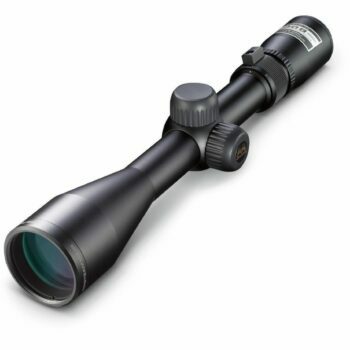 The Simmons 8-Point Riflescope is designed to provide you with a quick focus eyepiece as well as with fully coated optics that provide high contrast and brightness for an improved view of your target and surroundings. With up to 9x magnification, you’ll also get a waterproof, fogproof, recoil proof unit that is easy to adjust and easy to use no matter where or when you are planning to use it. Furthermore, the 50 mm objective lens and low eye relief, are great for the use for any distance and lighting conditions as well, providing a good field of view all the time. You’ll also have no problem with turning to adjust magnification as needed, without the use of any tools as you can do that just using your fingers. 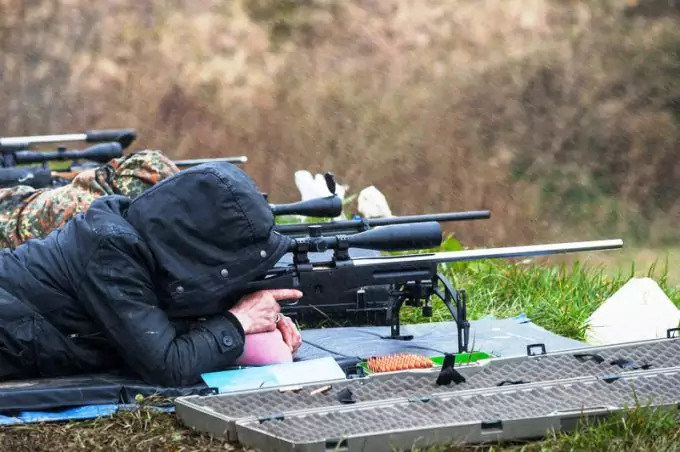 Even better, you will have no problem keeping the zero and getting it sighted to exactly where you want in no time at all. Related: These AccuShot Medium Profile Rings are great for attachment through Picatinny or Weaver and are easy enough to attach to this scope as well. At a low price, you’ll have no problem adding this on to your order and making sure your scope is ready to go right off the bat. 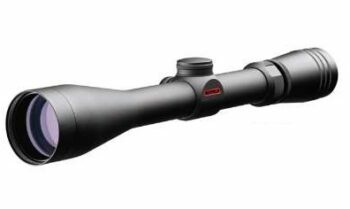 The Vortex Optics Viper PST Riflescope features up to 24x magnification, making it a great option for longer distance shooting, which the 50 mm objective lens aids with. The side parallax adjustment is easy to use and with a fully multicoated lens you get a clear and high quality picture every time you use the lens. The entire unit is waterproof, fogproof and shockproof, so you don’t have to worry about rain, puddles or even dropping the scope while you’re out there in the wilderness. The hard anodized finish keeps it looking great and working great no matter what. On top of that, it features tactical style turrets and maximum light transmission. The lifetime warranty is great in case anything happens to your lens and the entire thing holds zero easily. When you do want to adjust anything you can do it very easily and the click is noticeable, so you know what you’re doing and if it’s moving the way you want. Related: The Vortex Optics Precision Riflescope Rings here are going to get you exactly what you’re looking for in a connection through Picatinny rails. They’re a little more expensive, but they’re just the right height and they’re very high quality, as well as being made in the USA. The Nikon Buckmasters II Rifle Scope provides plenty of magnification for anything you want to aim at. It has 92% anti reflection capability as well as being entirely water and fogproof, so you can be sure you’ll have high quality all the time. This scope uses a BDC reticle so you can accurately calculate your drop at the same time as you’re shooting. With this scope you don’t have to worry about moisture getting in and you don’t have to spend a lot of money because it’s priced at the low end for most budgets. There’s a limited lifetime warranty included so you know you can trust the quality and workmanship and it has a 100 yard parallax setting. Even better, the entire system is able to be adjusted without tools while you’re on the go. You’ll get the best light transmission throughout the day and into dusk and it’s easy to zero in and keep zero than many other options. Eye relief is generous and consistent, so you’ll get exactly what you’re looking for in comfort. Related: The UTG Low Profile Rings are great for a Picatinny or Weaver connection, and work well with this scope. They’re low priced and made with aircraft grade aluminum for high quality and continuous dependability as well. 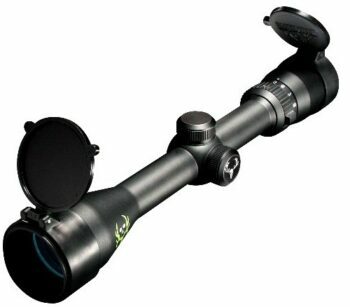 The Redfield Revolution Rifle Scope offers up to 9x magnification with a 40 mm objective lens. Not only this, but it’s made in the United States and offers a full lifetime warranty so you know you can trust the quality and overall durability. Great for the high, strong light and low light as well, and it’s great for just about any distance you might want to shoot. Furthermore, you’ll get great clarity that you can trust, and use it to hunt just about anything. Also worth mentioning is the fact that you won’t have a problem with the use or adjustment that you need while you’re using it as it is pretty simple to use. You will also have no problem holding zero for extended use and you’ll get a high quality piece that’s made with anodized aluminum so it doesn’t rust and also is of lighter weight so that it doesn’t add too much weight on your rifle and your arms. Related: You’re going to need rings in order to attach this scope to your rifle and the Leupold Rifleman Rings here are a great choice at a low price. You won’t have to worry about anything because they’re made high quality and easy to install and they’re made by the same company that owns this one. The X-Aegis Red And Green Rifle Scope provides you with either green or red crosshairs with an illuminated view, so that you can see what you’re aiming at no matter what the time of the day or night it is. 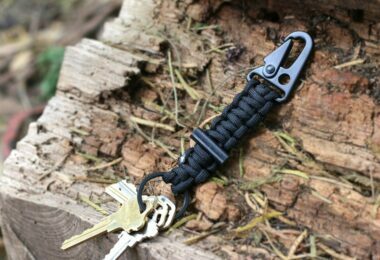 It’s made with metal to provide durability and quality and can be attached with a Picatinny or Weaver rail. Plenty of controls also make it easy to adjust to exactly what you’re looking for. With a sun shade included and lens covers as well, you won’t have any problem getting this scope ready to go in the middle of the day when the sun is bright, and making sure that it’s installed well. 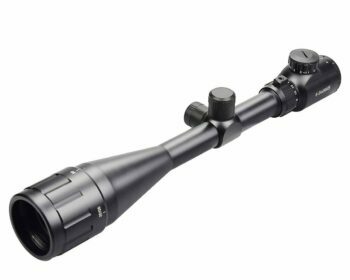 Excellent at longer distances as well as shorter, and with a larger lens to catch plenty of light in darker conditions, this scope is able to work for a number of different rifles. With the 5 different brightness levels, it’s also great for anyone based on their own preference. Related: The CLIVE Bipod is a great pick with this scope as it is a bit heavy to hold without some support. 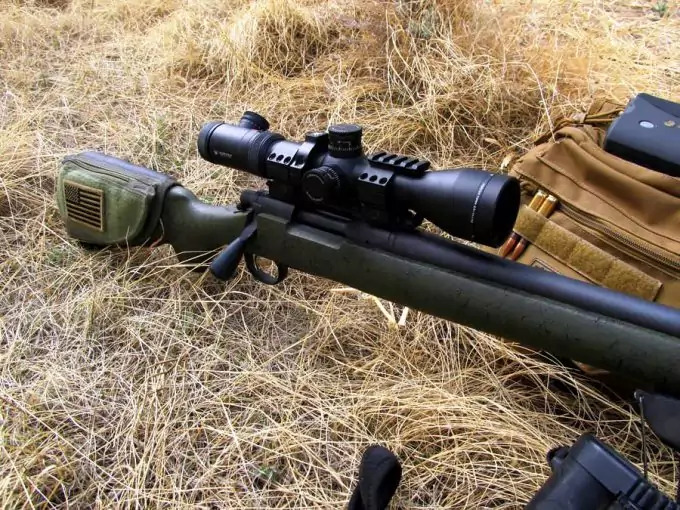 This setup allows you to rest the gun and scope easily and without having to spend a lot of money. It’s also adjustable to different heights for your preference and needs. The Nikon Prostaff Riflescope is made with aluminum for both the durability and to keeping it lightweight so you don’t make your rifle heavier than it needs to be. It is a compact unit that fits just about anything you’d want to use it on and offers a 3.6 inches eye relief. It’s completely waterproof and fogproof as well as featuring a BDC reticle so you can use it with ease over longer distances. The quick focus eyepiece means that you can get the shot off quickly and accurately, and the moderate price on this unit is great for those who want quality without breaking the bank. Great for those who are just getting started and those who are more advanced alike, this is definitely a scope that will give you a good picture and make sure that you have fun out there. Related: If you’re looking for a good mount the Nikon P-Series Picatinny Mount could be the perfect thing. It’s priced low and still provides great features and quality. The pieces are made in the USA and are entirely flexible and reversible. WE have reached the end of this post. We hope that you found it interesting to read and that you learned new, useful facts about 30-06 scopes. Also, by now, you should know how to pick the right one for your needs, and thanks to the reviews provided, you probably found that perfect one for you. If not, go through the reviews once more, check all the features, and make the right choice. 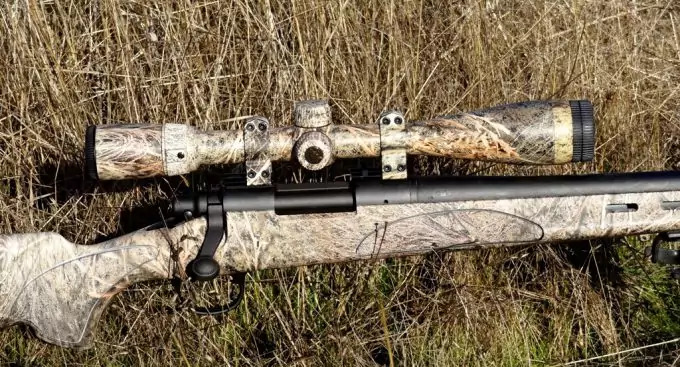 Choosing any of these scopes is going to make your next hunting trip a whole lot more fun, and you just might get something good out of it too. There’s no reason not to get a good quality scope for any gun that you have, and any of these scopes is going to help you with your plans, no matter what those might be. Whether you’re looking to spend just a small amount of money or a lot, you’re definitely going to have what you need. So what do you think of these scopes? Have you ever used one and have some thoughts of your own? Do you have a different scope that you think is better? We want to know all about it so make sure to let us know and share with your friends too.